How Much Does A Vet Visit Cost For A Cat? How Much Does It Cost To Get A Cat Spayed? Why Are Cats So Cute? How to Tell If a Cat Is Male or Female? How Many Years Do Cat Live? How to Tell if a Cat Likes You? Are Cats Smarter Than Dogs? What is the Difference Between Dog Food and Cat Food? What is the Best Diet for Cats? Cat Drinking A Lot Of Water? What Can I Feed My Cat? When it comes to choosing a new pet, a lot of people opt for a cute kitten. After all, they are a great family pet who can give you years of happiness and laughter. They are great for providing company to all members of the family, and you can have a lot of fun with all the toys and accessories you can get for your furry friend. A lot of people prefer getting a cat to a dog as they are slightly more independent than a pooch. You can let them out in the garden and they don’t need as much attention as a dog. In fact, there are over 90 million pet cats in the US now. So they are quite a common pet to get. 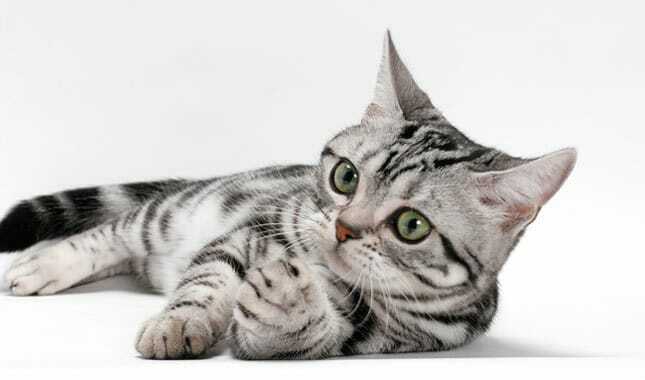 However, the main concern when choosing a cat would be, how many cat breeds are there to choose from? Once you have decided to get a cat, a lot of people think about what kind they want. For example, they might want to choose a gender they particularly want for their family. Or they might think of a color which they would prefer for their new feline. But a lot of families don’t actually consider what breed they might like. You often get people choosing a specific breed when it comes to a pooch. For instance, they might go for an Alsatian or a chihuahua. But when it comes to cats, the breed often isn’t a decider. But, it’s always worth checking out different cat breeds before you do pick a kitten. After all, if you are planning to let your cat have kittens in the future, you will want to know which one is worth the most money. Also, different breeds can have varying temperaments, so it might help you choose one which will fit in well with your family. For instance, if you have a busy household, you won’t want one which is quite timid and will easily spook. A lot of people are left wondering how many cat breeds are there as they don’t hear about them often. In fact, most cats are just classed as domestic shorthairs or longhairs. And if you ask a cat owner, they might struggle to name the breed of their beloved pet. However, you might be surprised to know that the Cat Fanciers Association (CFA) states there are 44 cat breeds. And every year at least one is added to the list. 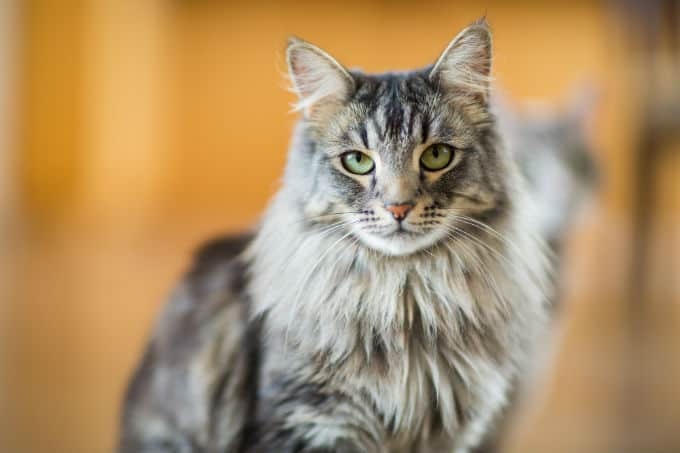 While we can’t go through every single breed here, you might want to know about a few which will help you to decide which cat breed to go for. Therefore, here are some of the most known in the US which would make a good family pet. If you want a cat which is very good with young family members, you might want to opt for the cat breed, the American Shorthair. The history of American Shorthair can be traced back as early as the late 1800’s and was originally said to be bred to hunt mice and rats around cargo. Therefore, they do make excellent hunters if you want to keep the creepy crawlies away from your home and garden. Just be warned you might find they bring you gifts from time to time. They are known to have a quiet and pleasant nature which will be great if you do have kids. After all, you don’t want to worry about them being around your children. They are also known for being a healthy breed, so you don’t have to worry about having huge vet bills anytime soon. 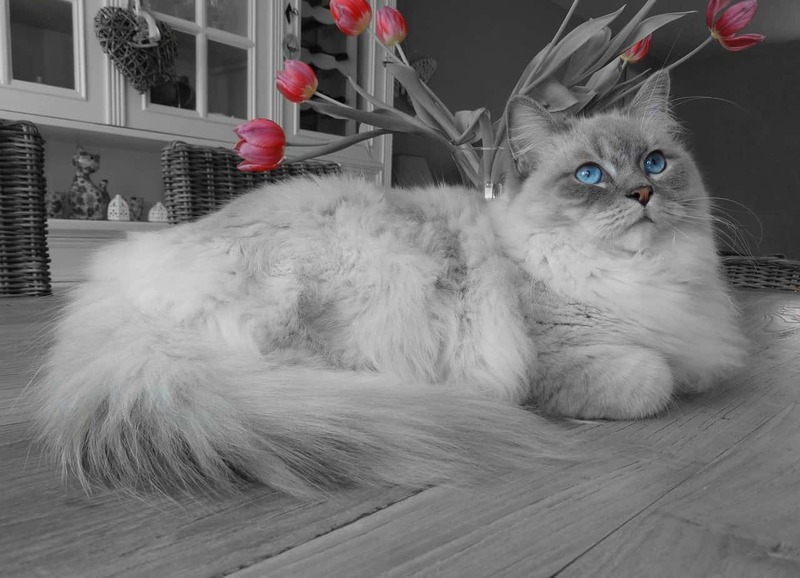 You will have definitely seen the ragdoll around your neighborhood. 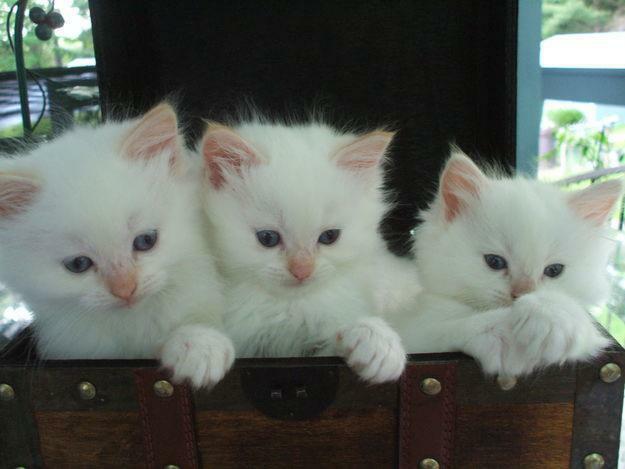 They have distinctive blue eyes and a beautiful silky coat. It’s the cat you want if appearance is top of your priorities for your new pet. After all, the ragdoll will definitely leave your guests cooing as it’s so adorable. The cat does tend to be on the larger size, so they can be very cuddly on your nap in the evenings. They’re known to be very docile and they are great if you do want a cat with a very good temperament. As the breed has such gorgeous fur, it does mean you have to keep on top of its coat. In fact, you will have to often groom them to ensure they look their best. Also, due to their nature, it’s a good idea to keep them inside. Another popular choice of breed you might want to opt for is the Siamese. They are one of the oldest breeds in the world, dating back to the 1400’s. This breed is excellent if you want a loving and loyal kitty. They are often very friendly with their owners and will often be around for a cuddle. In fact, they are one of the most demanding breeds around. They also like to be very active so you will find you might need to play with them a little more than other breeds. You also might find they keep you up at night with their vocal nature. 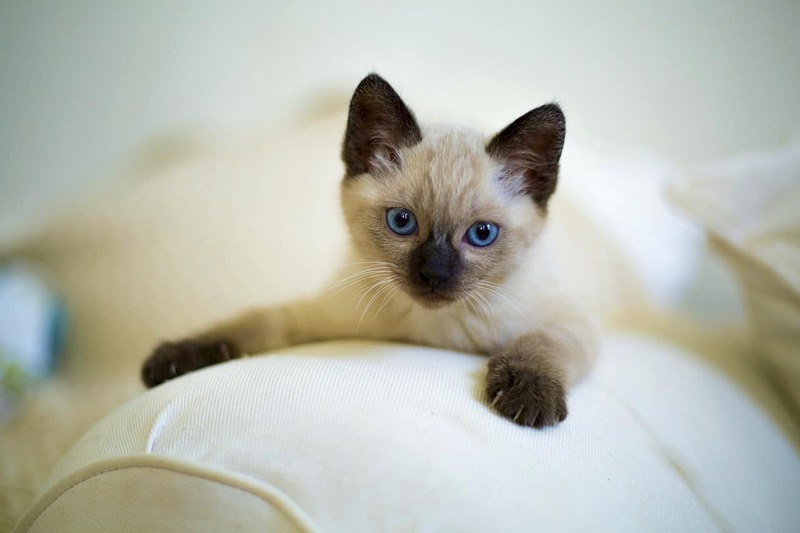 Siamese cats are very easy to spot as they have a distinctive coat (a light caramel color and dark patches). You might not have heard of the name of the breed, but you would know the cat if you saw it. The long-haired cat has a large fluffy neck and is on the larger size as they can weight around 25lb. Despite their big size, they are known to have a fantastic nature. In fact, the cat which often wins prizes is a popular addition to many families as it gets on well with dogs and babies. So if you have a busy household, it can be a good option for you. Also, the cat doesn’t need as much grooming as other similar breeds which can be very helpful. And it’s often great as a farm cat due it’s hunting nature so could be ideal to rid you of pests. And remember that non-breed domestic cats can be a lovely option too. So don’t rule them out just because of their breed. KittyWise.com is a participant in the Amazon Services LLC Associates Program, an affiliate advertising program designed to provide a means for sites to earn advertising fees by advertising and linking to Amazon.com. Amazon and the Amazon logo are trademarks of Amazon.com, Inc or its affiliates. You should not use any content for diagnosing or treating a condition that requires veterinary attention. You should carefully read all information provided by the manufacturers of any products advertised or promoted on or through the Site and displayed on or in the associated product packaging and labels before purchasing and/or using such products.